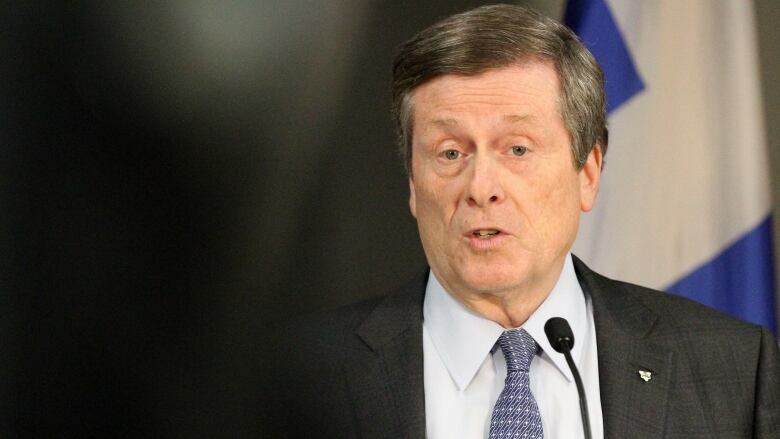 Mayor John Tory has been meeting with legal experts who suggest it may be possible to seek an injunction to block Ontario’s plan to slash city council nearly in half before this fall’s municipal election. Mayor John Tory has been meeting with legal experts who suggest it may be possible to seek an injunction to block Ontario's plan to slash city council nearly in half before this fall's municipal election. Progressive Conservative Premier Doug Ford shocked the city with his announcement to align Toronto's ward map with provincial and federal boundaries, killing a council-approved plan to increase the ward map to 47 wards. Tory said Ford's move amounts to "meddling" in the election and voted with a majority of councillors to evaluate the city's legal options. Council is set to hold a special session on Aug. 20 to vote on what, if any, legal measures to take. In the meantime, Tory's office confirmed he met with outside constitutional and municipal law experts last Friday about the matter. "This group is not advising the city but discussed the possibility of an injunction and whether the legislation could be challenged based on the timing of the upcoming municipal election and the lack of process, consultation, and applicability outside of Toronto," the mayor's office said in an email statement. Tory's office did not say who those lawyers are but said they are not part of any official group. Last week, Rocco Achampong, a candidate in Ward 13, Eglinton-Lawrence, applied for an injunction at the Toronto division of Ontario Superior Court at noon on Tuesday looking to suspend the PC government's Better Local Government Act "until it can be heard on the merits." The act only reduces the size of Toronto's council, and doesn't affect other large Ontario cities. The premier said it's being introduced to improve the performance of a "dysfunctional" city council. However, the Official Opposition has called the decision an abuse of the premier's power and suggested Ford, a one-term city councillor who ran and lost in the last mayoral election, is trying to settle scores with rivals at city hall.